Disinheriting your children – a “non” “non” in France! Even beyond the grave, Johnny Hallyday – France’s “Elvis” to Americans who failed to grasp the appeal of the man or his music – continues to surprise. Throughout his long career as a singer and actor, Johnny, who died at his mansion in a Paris suburb on Dec. 5, 2017, thumbed his nose at conventional society. Fans loved his tight fitting leather pants and heavy chains, his tumultuous love life, his motorcycles – and accompanied him throughout his ups and downs. Johnny just did his thing and managed along the way to gain the admiration of a few French intellectuals among his throes of more ordinary admirers. His funeral services were national, held at the beautiful and prestigious Church of the Madeleine. The family, composed of Johnny’s present wife Laetitia and their two adopted children, Johnny’s ex-wives and two children from previous marriages, Laura Smet and David Hallyday, stood together in apparent unity. It quickly became clear, though, that there was a split. In a portentous detail, Laetitia, accompanied by the couple’s two adopted children, Jade and Joy, followed the hearse while Laura and David were relegated to waiting in front of the church for them to arrive. When the will was read and made public, even Johnny’s fastest supporters and fans were shocked. In it, he left all his earthly possessions to his wife Laetitia – disinheriting his oldest children. Nothing scandalous about this to an American. After all, in the U.S. if you want to leave millions of dollars to a charity or to your dog, it is your perfect right. Not so in France where the Napoleonic “Code Civil” guarantees that children must inherit what is called a “reserved share” of the parents’ inheritance. How much depends on how many children – obviously there’s a greater share for an only child than for eight siblings. But the point is that it is strictly unthinkable – and undoable – for a French parent to disinherit children. And that is why David and Laura, Johnny’s children, have taken the matter to court. Now the battle rages and will continue to rage for months and perhaps years between battalions of French lawyers and American lawyers. 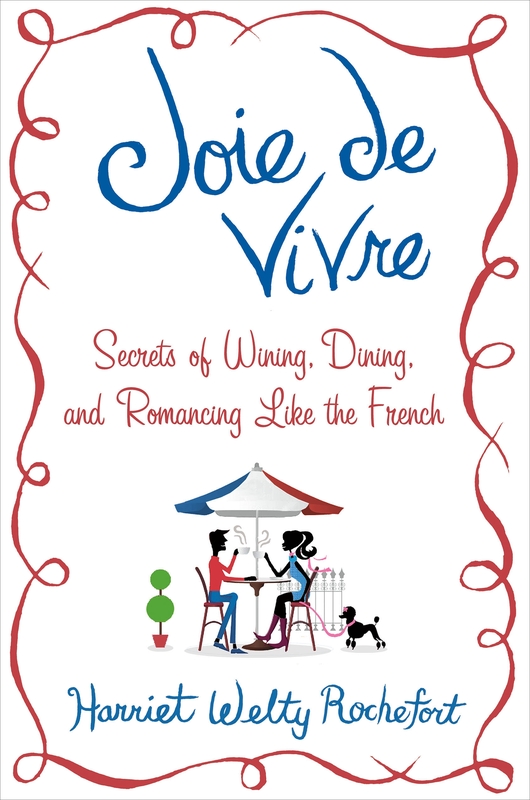 (Johnny is French and died in France, but he was also a resident of California where he lived and where the will was made). Most everyone has an opinion on the subject but for the moment one thing is sure: the only ones making any money out of the controversy are the lawyers. 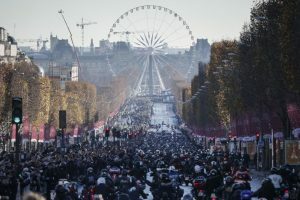 Thousands of Johnny’s biker fans descend the Champs-Elysées. From what I understand its the law of where the will was made and where Johnny was a resident (California in both cases) that determines the conflict. I don’t know if there’s a loophole or an exception but that’s where lawyers come in ! In the States, for the most part since it is state law and not federal law that controls, one can disinherit children but cannot disinherit your spouse. Here he is not disinheriting spouse either. This will be an interesting legal case to follow! Yes, Jacqueline, this is going to be a royal battle! It will be so interesting to see the dénouement – whenever that is.